Last week, I showed you how to stitch up a Dutch spiral tube. 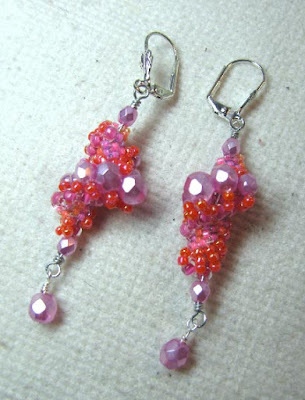 If you stitch a short length with a slight increase in accent bead size in the middle, and a decrease on each end, you get something that looks like the beaded beads shown above...perfect for earrings! 1. 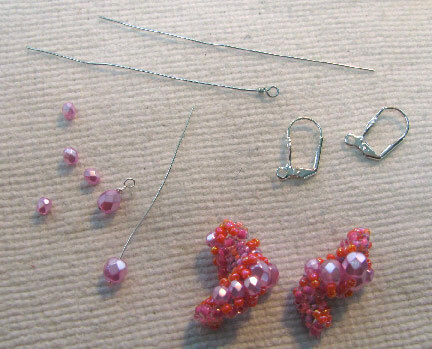 Place large crystals on head pins and turn a wrapped loop. 2. Turn a wrapped loop at one end of each length of wire. 3. 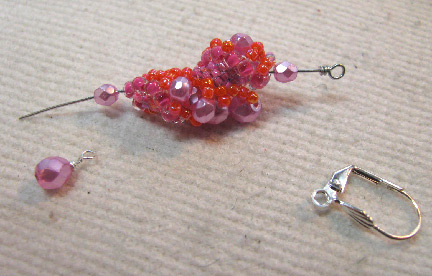 Thread the wire through a beaded bead, sandwiched between two of the smaller crystals. 4. 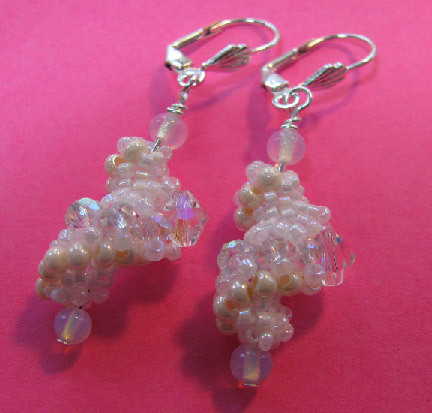 Attach dangling crystal with a turned loop. 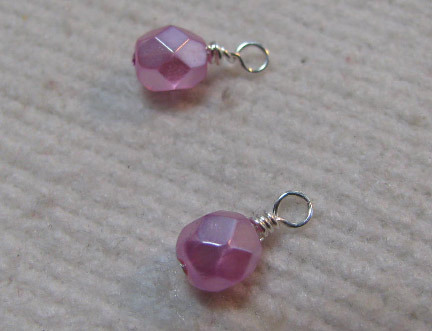 Open the earring wire's loop and attach to the top of the earring. Here is another pair, the ones I showed you last week. They are slightly smaller than this pair. You can make them as long (and as fat!) as you want. They're lovely, Cyndi. I'm surprised at how simple the directions sound. Thanks for the tutorial. My menagerie of beaded spark plugs! Yay! "Waves" found a new home!